Are you including MACA in your diet? Maca is a WONDER FOOD. It is an incredibly resilient root vegetable, native to the Andean mountains of Bolivia and Peru. 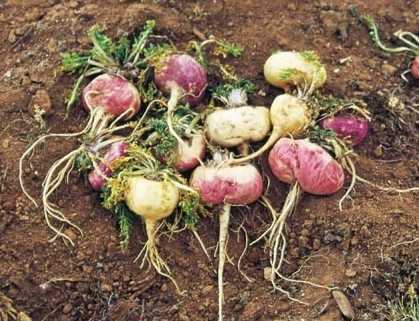 A member of the brassica family, maca is miraculously grows at altitudes of 14,000 feet, in poor volcanic soil, and in extremly harsh weather conditions — freezing cold temperatures, fierce winds, and intense sunlight where no other crops can survive. Despite this, maca rises with powerful medicinal qualities. Widely known as “Peruvian Ginseng”, maca is also known as an “adaptogen” that balances and revitalizes our system, combats stress, and supports the regeneration of the adrenal system. A PERFECT food for this fast-paced world that we live in. Maca also helps to lower cortisol levels. Maca contains incredible phytonutrients — flavanols, glucosinates and isothiocyanates that neutralize free radicals, and is extremely high in vitamins, minerals, and protein (amino acids). Maca is also a rich source of steroid-like compounds that promotes the regeneration of muscle tissue. This makes maca an amazing supplement for aiding workout performance and recovery. Maca helps to promote vitality; metabolize carbohydrates, fats and proteins; maintain strong bones and teeth, form red blood cells and support their function; and so much more. The Peruvians used maca for thousands of years for increased energy and stamina. They believed it improved fertility and enhanced libido as well. Maca is also a brilliant plant-based source of vitamin B12. One serving contains about 70% of the daily recommended intake of B12 (as cyanocobalimin). It also contains large amounts of calcium, manganese, calcium, potassium, and iron. There are quite a few brands of Maca powder on the market. Find one that is certified organic. 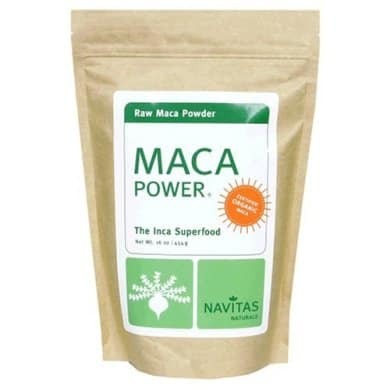 Just a note: maca has a quite a strong nutty flavour. It likes to be the star attraction. Generally one teaspoon strikes a nice balance for me. I find too much of it really overpowering. What’s YOUR favourite way to include Maca? Adrenal support? I could use that. Interesting! Where can you get this? Just at a the Natural Food stores? Yes. Whole Foods carries it as well. You can also find it on Amazon.